I just smashed my second bar of Turkish delight. Smash meaning, into my mouth in large chunks of gooey yumminess. You see, there are so many things that remind me of my Mum, and a Turkish Delight chocolate bar is one of them. This was her very favourite type of chocolate bar. She would keep it cold in the fridge, and only eat a bite at a time. Annoying right? She was a Diabetic so really she should not have been eating chocolate at all, but she allowed herself these little indulgences from time to time. So after my shopping like a naughty girl, I ate not one but two little scrumptious Turkish delights, and whimsically, like magic, thoughts of my lovely Mum came swirling back into my mind. These days, well most days, I do not break down into a sobbing mess at the mere thought of her. Now it is nice to remember the things that she loved. And I like to think I am carrying on her traditions. Eating a good chocolate bar is a pretty good deal too! And a nice way for me to continue to feel connected to my beloved Mum. This is what a little bar of joy looks like. Aka Turkish Delight. When was the last time you had one of these? Jellybeans. Now here is a weird concept. Ever since my Mum has passed away, I have had a weird obsession with black jelly beans. Only the black ones, I will admit I am a jelly-beanist, I only like black ones. The colourful ones have no interest to me! You see as previous mentioned, my Mum was a Diabetic. She carried jelly beans on her everywhere she went, and I will say they saved her life a few times, during a night time horrible hypoglycaemic state. She always offered them to me when we were out and about shopping or on our day trips, I literally never accepted. I had no interest, I didn’t even like them. Since she has passed away, this strange thing has happened. Every time I walk past a chemist I feel compelled to buy a packet of black jellybeans. I just cant get enough of them, and I will admit they do remind me of my Mum too. They also have to be a specific type of black jellybean, not just any old pack! They have to be the ones for diabetics. 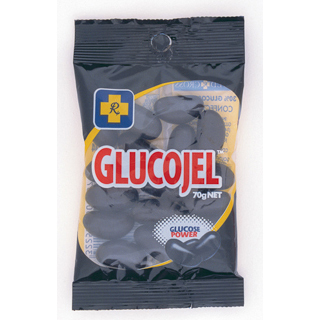 In the Glucojel packs. I am quite serious! The taste is remarkably different. Specifically it is these jelly beans that I can have. Nothing else! Mum would have purchased a million packets of these jellybeans over her lifetime. I am now making up the short fall! I like to take walks in my local area and well anywhere really. My observant eye often finds a pretty rose and I quite often stop and take a whiff. Appreciating their vibrant perfume, sweet, natural and alluring, I love to photograph their beauty. I always imagine my Mum loving my artistic photographic impression. She was known to walk the neighbourhood in her better days and take cuttings of roses, she was quite naughty! She loved their aromas and bumptious shapes and loved to put them in vases to admire. She just figured they would be appreciated better, in the house, in a vase. Not in someone else’s garden! Hilarious! Share the rose love right? By the way, I can not cut other peoples roses! I like to buy them or simply photograph them as I see them, and walk away knowing they can be enjoyed by other passersby. She never could grow her own, gardening was not her forte. I, on the other hand love to be in the garden. I have a rose bush in my garden currently and enjoy watching it change and grow and blossom. But the real joy comes from seeing so many other varieties of roses in my local affluent area, where there just happens to be an abundance of roses. Lavender is another one of my Mums favourites. She used to love buying Lavender Oil and use it for cleaning, she would douse the house in the stuff, but wow it really smelt nice. She also loved lavender hand cream, and lavender soaps and once she painted her room a lavender colour. So it is easy to say that when I come across lavender I often think of her. I also have a lavender bush in my garden right now and I love having it there. I am looking forward to it getting really bushy so I can pluck lots of flowers from it without it being so obvious! You see, so much reminds me of my Mum, and I am happy about that. Writing my blog has really helped me stay connected to her, to remember her for all her quirky, unique and amazing ways. These are just a few things that remind me of her, but really I could write forever about all the things in my day to day that remind me of her. I hope you have enjoyed my reflections. Thoughts of mom….wonderful to experience. Thank you 🙂 I think of her daily!